A sync client is something that many users of cloud hosting services have come to expect to be offered from the services that they use in recent times. We have seen established players like Microsoft or Amazon release a synchronization client for desktop and mobile users to compete on the same level with services like Dropbox or the newly launched Google Drive. Box is an established service that is making its content management and work collaboration features available for regular people, and businesses. While business and enterprise customers of Box had access to the Box Sync desktop client for almost two years, personal users did not have access to the software until now. Selective synchronization. 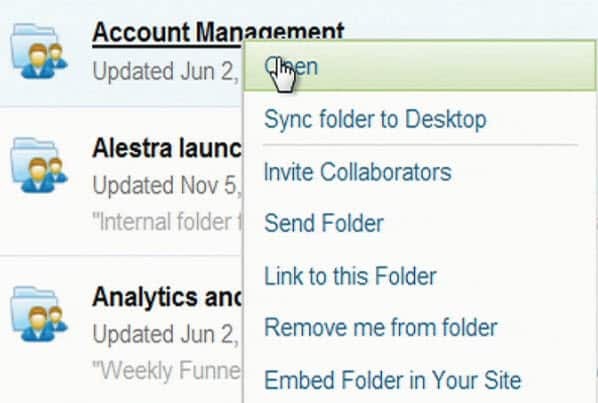 This basically lets you select folders that are already stored online that you want to sync with the desktop computer. Take a look at the introductory video that Box released in 2010 to introduce Box Sync for business customers. And it is exactly this client that will make be offered to personal customers of the service as well. For now, select Box users have been invited to beta test the client. Box Sync for business is only available for 32-bit and 64-bit Microsoft Windows and Mac OS X operating systems. To be precise, it is compatible with Windows XP, Windows Vista, Windows 7, and Mac OS X 10.6 and 10.7. It is not clear yet when the Box Sync client will be made available for all Box users, but it is likely that this is going to happen sooner than later. Free users at the time of writing get 5 Gigabyte of storage space which they can increase to up to 50 Gigabytes. Box has run several promotions in the past that allowed users to increase to that size for free. The maximum file size is linked to the available storage. 5 Gigabyte storage users can upload single files with a size of up to 100 Megabytes. Users who have purchased more storage have a limit of 1 Gigabyte per individual file. in my account this tool is only for Business. (similar to what Dropbox, SkyDrive & GDrive already have!). because of the lack of this fundamental feature. Thanks for letting us know, Martin. The private Box Sync app is in beta but the business app has been around for two years. That suggests the two apps are not the same. I suspect limited functionality for us free users, otherwise they could just release their current app for us. I have 50Gb but do not use it due to the lack of sync. What I really want to do is sync some of the folders on my Synology NAS to have a back up in case something happens to the unit; theft, fire, I want an off site back up.